A St. Louis police officer has been charged with killing a fellow officer after a Russian roulette-style game went horribly wrong. Nathaniel Hendren, 29, was charged Friday with involuntary manslaughter and armed criminal action, according to Circuit Attorney Kim Gardner and a probable cause statement. Hendren, who was on-duty at the time of the shooting, and Katlyn Alix were allegedly playing a game where all but one bullet was removed from a revolver and the two would take turns pointing it at each other and pulling the trigger, according to the probable cause document. Officer Katlyn Alix, died after an officer "mishandled" a gun and accidentally shot and killed her early on Jan. 24, 2019, at an officer's home. The statement was provided by Sgt. Richard Hellmeier, an Internal Affairs investigator, after interviewing a third officer who was on-duty and with the two at the time of the shooting. The third officer has not been named. According to Hellmeier, Hendren initially spun the cylinder and pointed the revolver away from Alix. But when he pulled the trigger, it did not fire. She took the gun and pointed it at Hendren, but again the gun did not fire. Hendren took the gun back and pointed it at Alix, pulled the trigger and shot Alix in the chest. She was rushed to the hospital by the officers, where she died of her injuries. The 24-year-old Alix was off-duty at the time of the shooting, which took place at one of the men's apartment at about 1 a.m. on Wednesday. Hellmeier said, according to the probable cause statement, that "he advised that he told the defendant and victim that they shouldn't be playing with guns and that they were police officers. He felt uncomfortable with them playing with guns and didn't want to have any part of it and he started to leave. As he left the room but before leaving the apartment he heard a shot. He went back into the room and saw that the victim had been shot in the chest." Gardner would not comment on the allegations presented in the probable cause statement, but called the shooting a "devastating incident." "Yesterday, we lost a shining star and a dedicated public servant," Gardner said. "From everything I hear about this bright, young woman, Katlyn represented the police department in an honorable manner, and she had a very bright future. "I have said this many times before; I will hold people accountable who violate Missouri law regardless of their profession, public status or station in life," the statement continued. "Today, as much as it saddens my staff and me to file these charges, Katlyn and her family deserve accountability and justice." 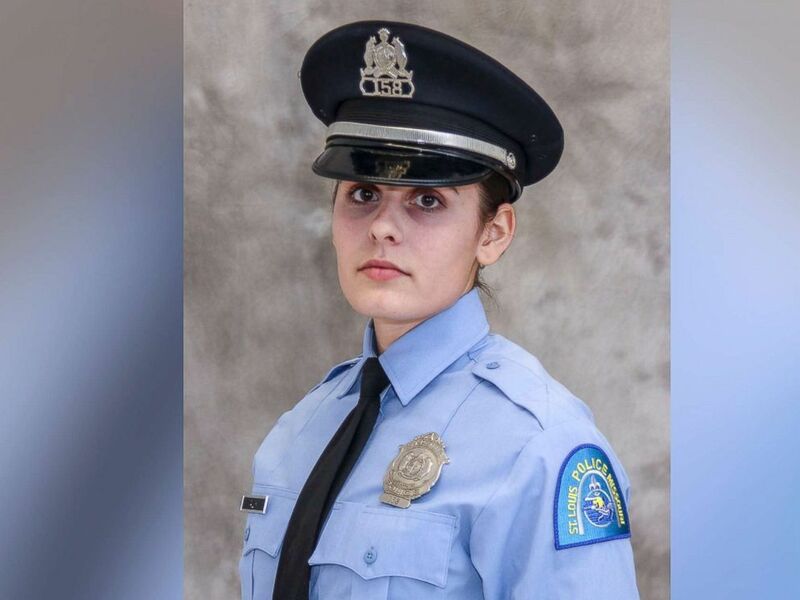 The St. Louis Police Department had said Thursday following the shooting that Alix had been shot in an "accidental discharge" when Hendren "mishandled a firearm." Alix is the fifth police officer to die in the U.S. in a shooting this year.